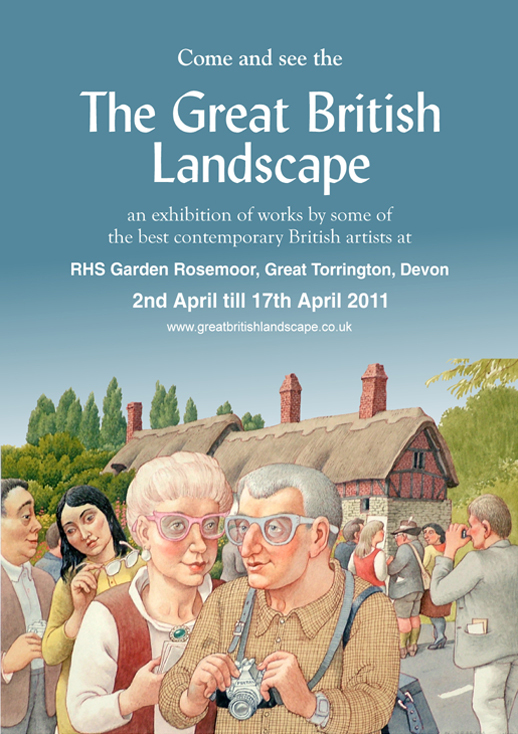 We are delighted to present, this, our fifth major exhibition at RHS Rosemoor featuring some of the best contemporary British landscape artists. This year we have more artists exhibiting than previous years and their work, in oil, watercolour mixed media, print or needlework, has been brought together from all over the UK. Virtually all have been collected directly from the artist. Together they show a wide range of styles from the realistic to the impressionist - each artist interpreting the landscape in his or her own way. All paintings are for sale and will be replaced by new work during the show. Due to the amount of hanging space, it is possible not every picture shown on the website will be on view - so if you are interested in a specific painting please email or phone the day before you visit to ensure the picture will be at the show if still available.